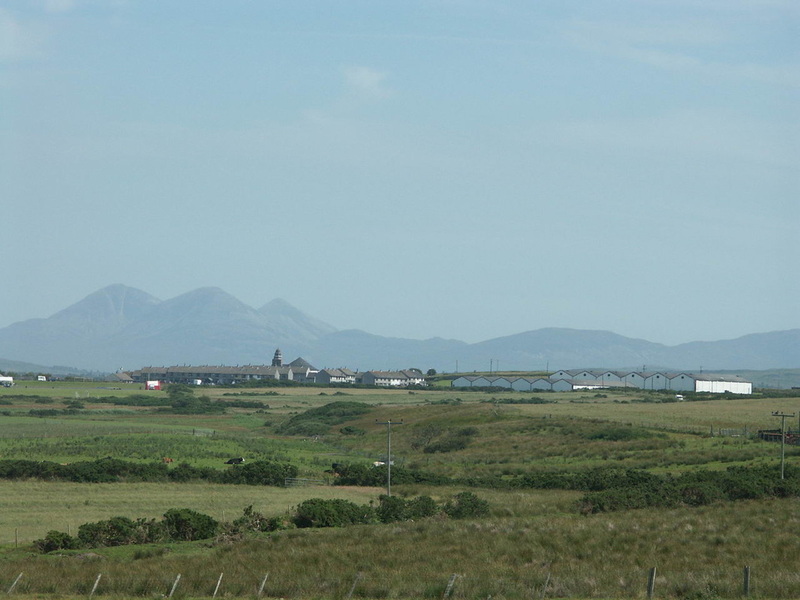 A small village called Laggan was on the site of the current town of Bowmore before the then owner of Islay, Daniel Campbell, implemented his grandfather's plans to extend his gardens and grounds around Islay House where the village of Killarrow was situated (hence the name of the parish). 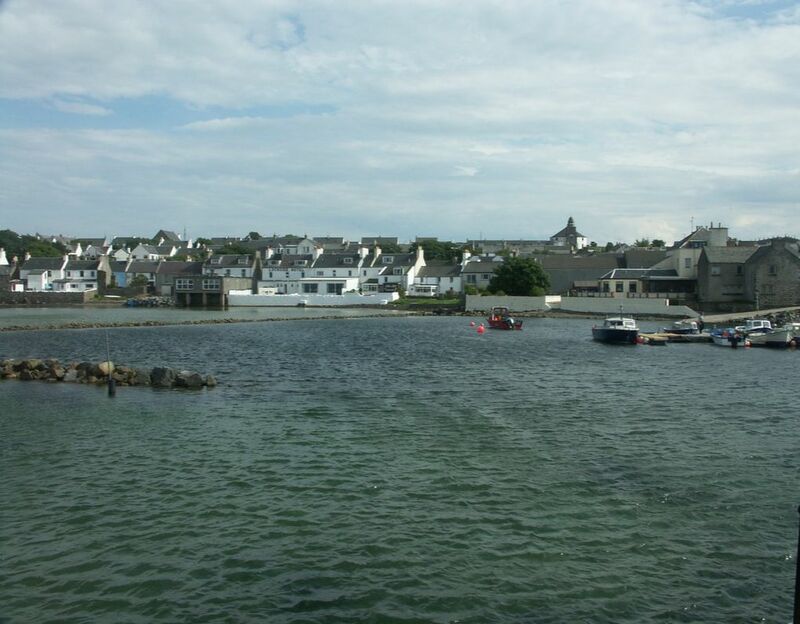 From 1768 he planned the construction of the village that is now Bowmore. At around the same time, the planned village of Inveraray was built for similar reasons (Campbell had met the Duke of Argyle, who relocated Inveraray, while travelling in Europe) - again with a prominent church at the top of the main street - originally proposed to be round - but that was rejected as it didn't allow for the division of the church into English and Gaeilc speaking parts. 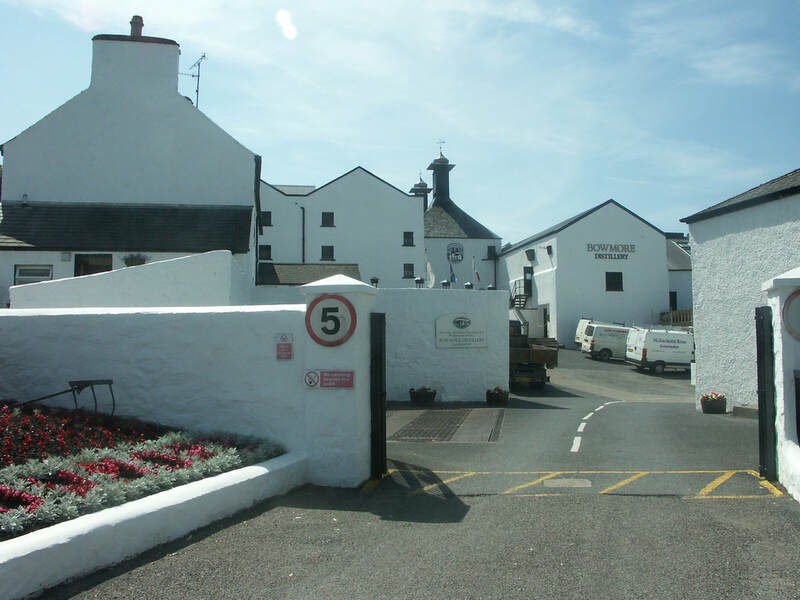 Bowmore ticks all the boxes - Distillery, Whisky Shop, Whisky Bars. Even the School has a pagoda roof to match that of the distillery. What more could you want? 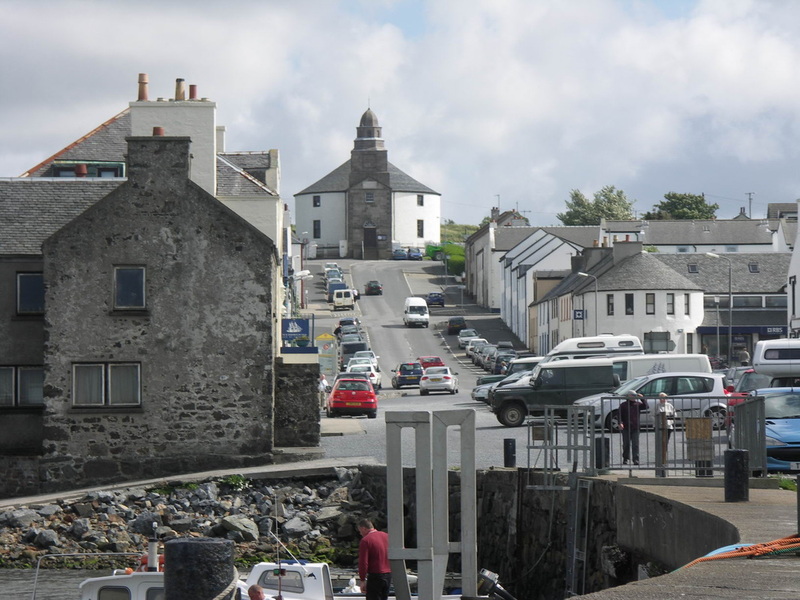 Bowmore's (Bogh Mòr) most famous feature other than the eponymous distillery is the round Kilarrow Parish Church - shaped so the devil has no corners to hide in - built in 1767. 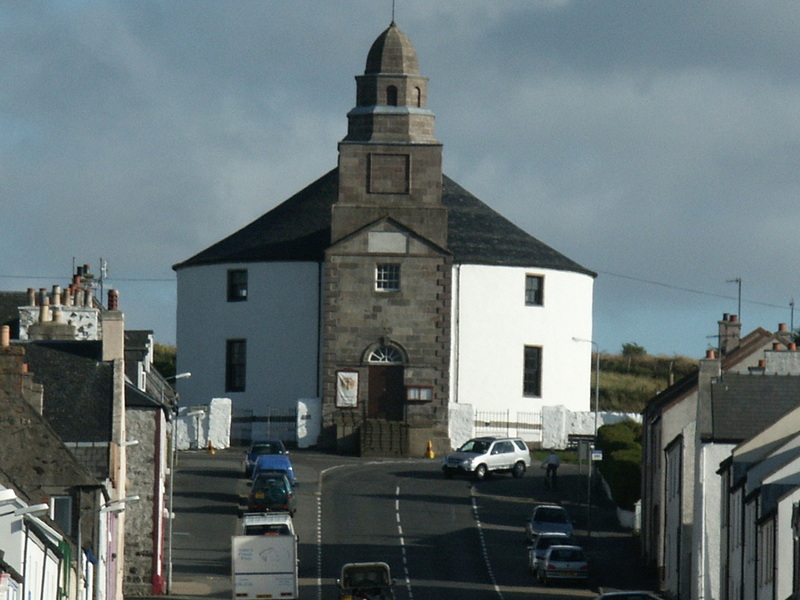 From the church, Main Street stretches down towards the Harbour past the Post Office, Co-Op, Cottage Restaurant, and the offices of the Ileach. 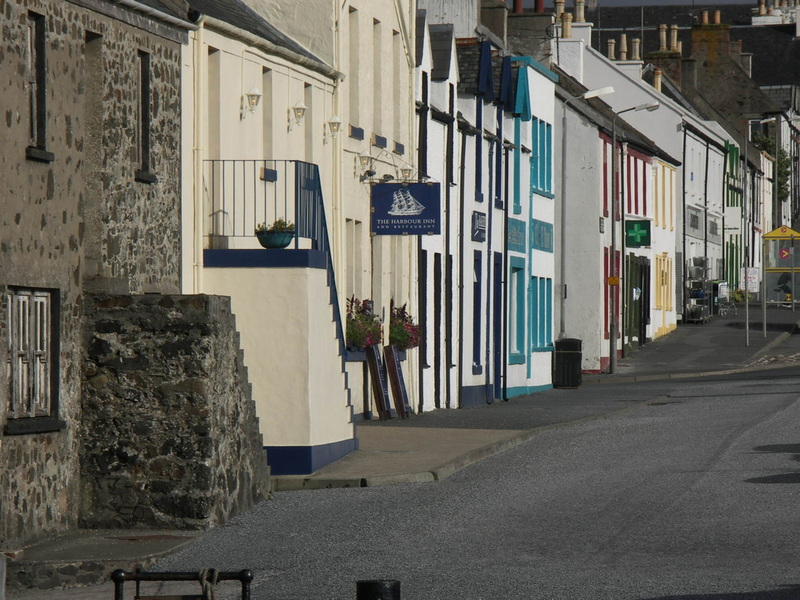 The main road then takes a 90 degree right turn, with the distillery, RBS & Tourist Information Centre to the left. 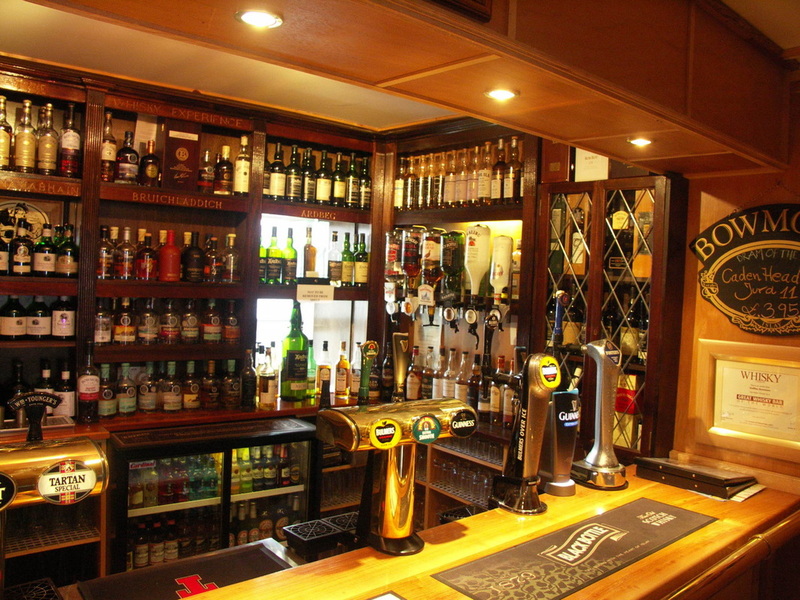 Shore Street has the Islay Whisky Shop, Duffie's Bar and the Bank of Scotland. 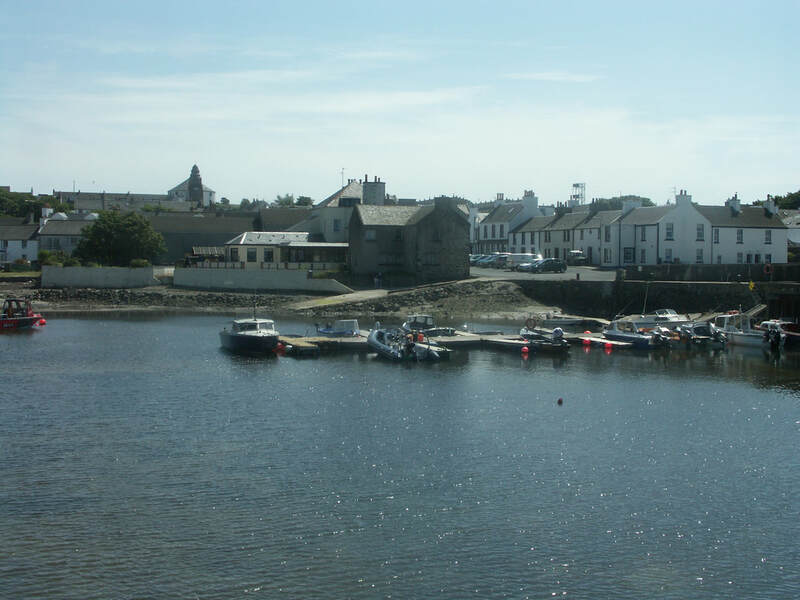 The Square lies between the turn in the main road and the Pier and contains the Harbour Inn. 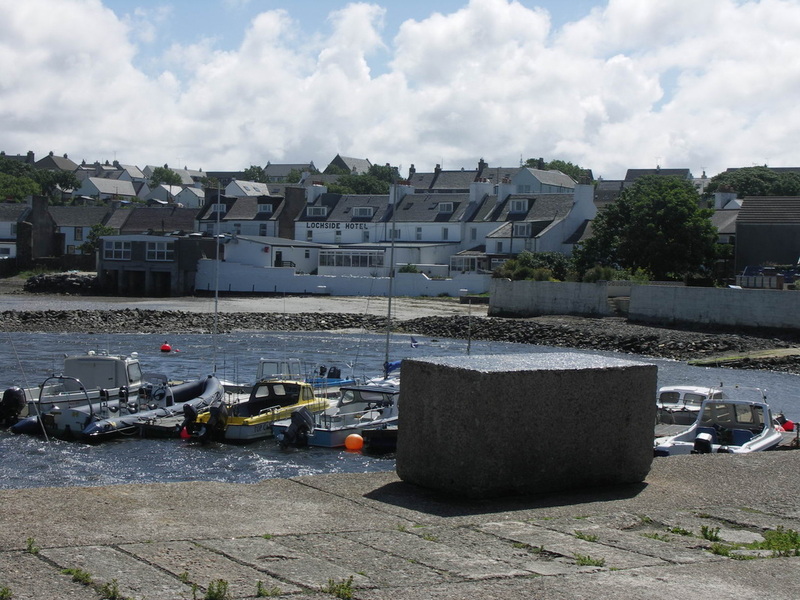 Bowmore is roughly equidistant from Islay's two ferry ports - Port Askaig and Port Ellen served by CalMac from Kennacraig Winter Summer). 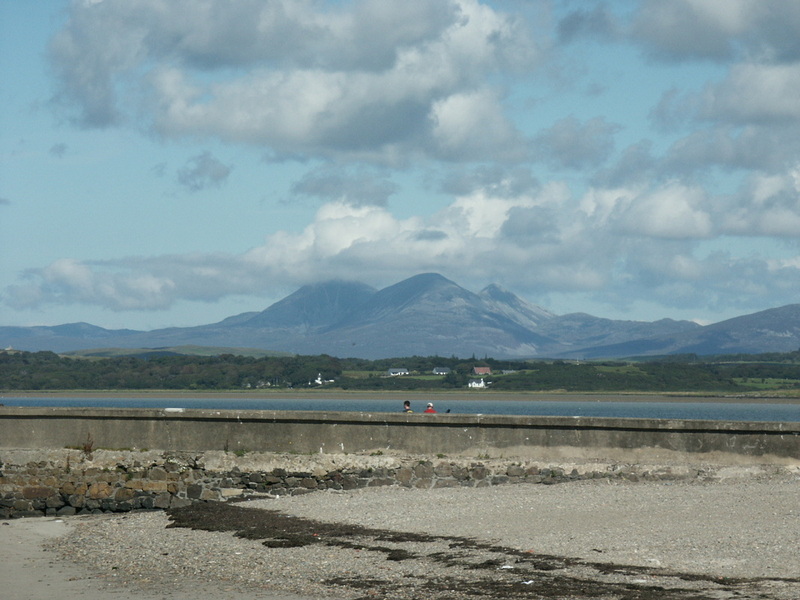 Getting to Kennacraig? 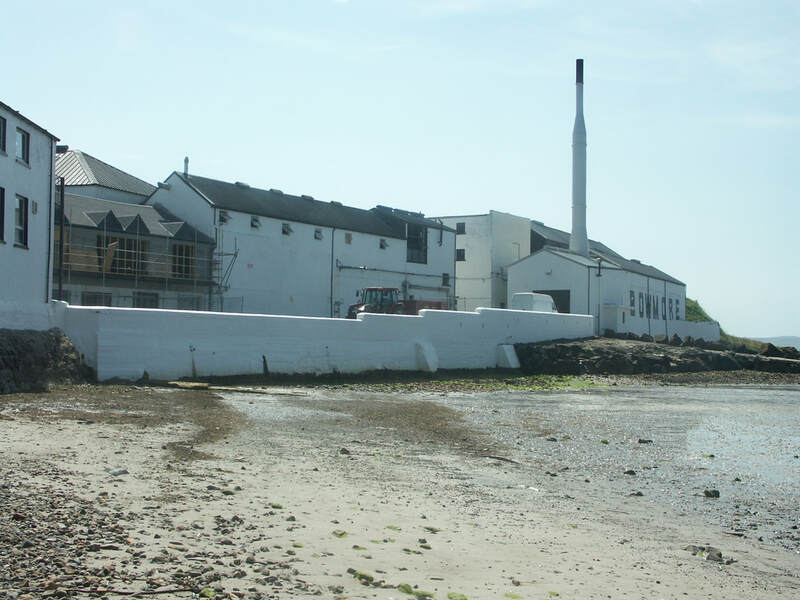 - see main Islay page. There's also one or two sailings a week to/from Oban Winter/Summer using Port Askaig). Post Office - Branch finder (search for postcode PA43) for opening times.